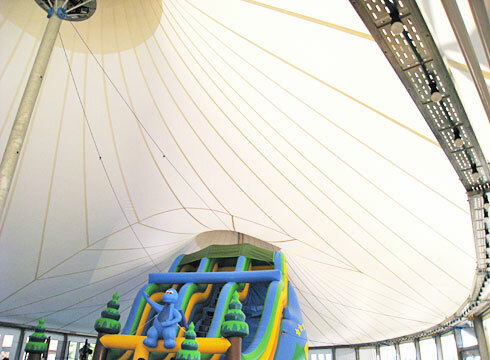 The family-friendly upmarket campsite is well equipped with leisure time facilities. 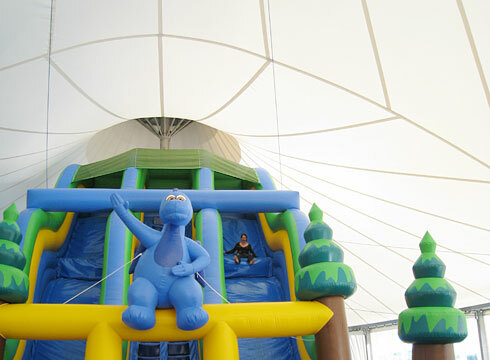 To provide an attractive playground during bad weather and in the cold seasons, a tent for children with an area of 620 sqm was designed. 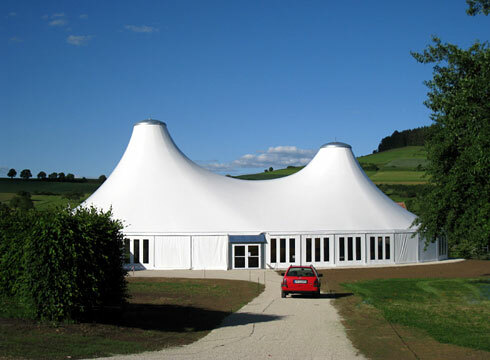 The tent can be closed with reversible facade elements and heated if necessary. 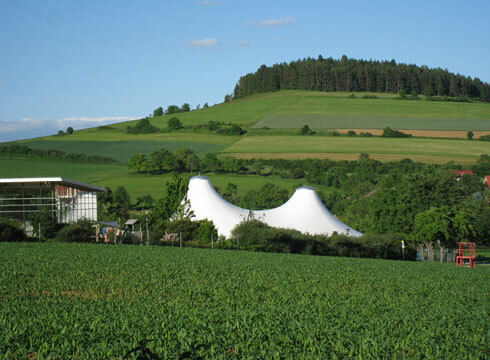 The textile building is situated in the volcanic landscape Hegau. 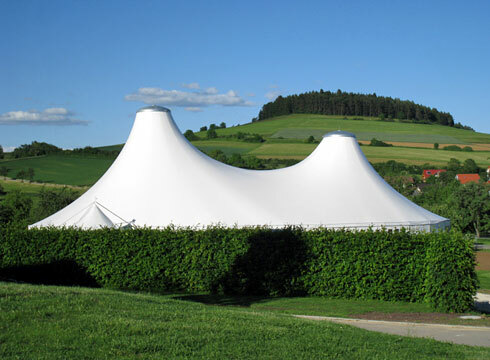 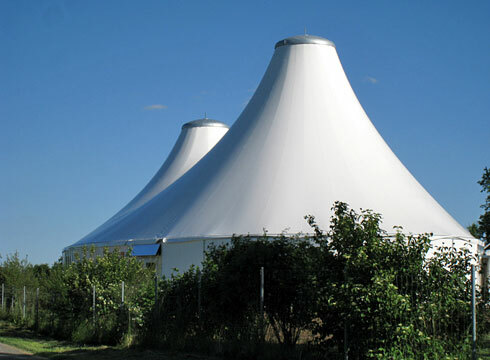 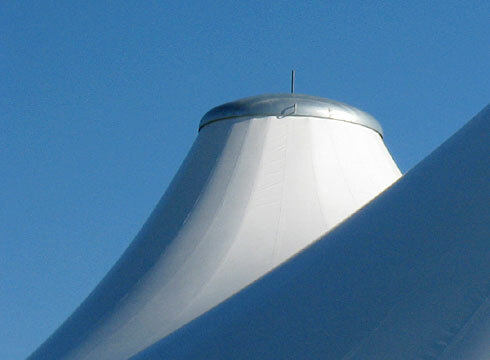 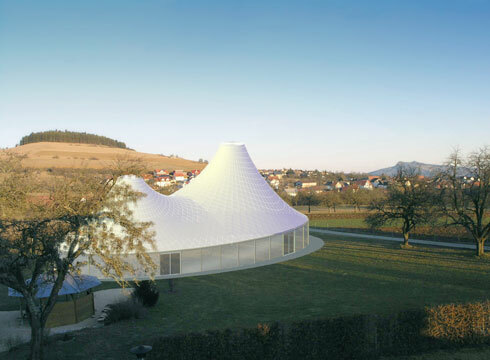 At customer’s option the tent’s shape is similar to the Hohenstoffel, a nearby mountain with a double peak. 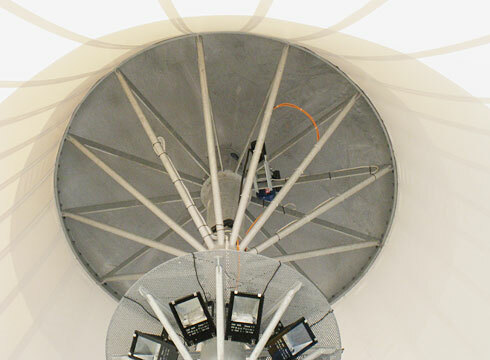 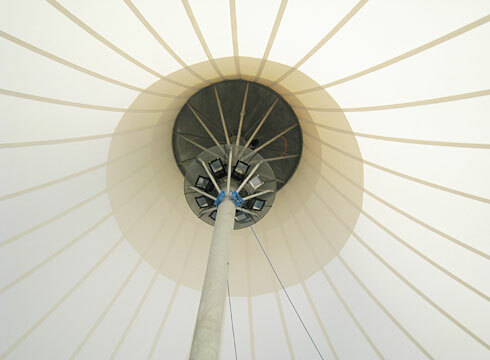 The main membrane with 820 sqm is bordered by an eliptical pressure ring, supported by 2 steel columns.